Hey guys what do you know about the blue screen? This is not coming always, but when we are using our computers, sometimes your computer get stuck and it restart itself, then you could see blue screen with some instruction, so we have to restart our computer, and then normally the person who don’t know about it, does not care about it, he thinks it is over and he solved it by restarting the computer or something like that, but it is not over. You have to think about this. Do you know we are calling this as BSoD. It means Blue Screen of Death. If you ignore this without reading, you will have to face a lot of problem, and you will have to suffer a lot. First of all I would like to say this error message is coming at very dangerous situation. 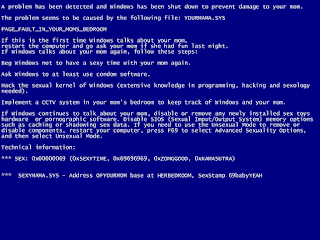 When you see this blue screen, please read it carefully, and try to get an idea about what it says, after that write down that message. This step is very important. Then we can do something for this. And press enter, is there an any primary problem computer can manage or it can solve, it will be solved. The second thing is we know about the Random Access Memory, we are calling it as RAM. Every data are transferring from Hard Drive to Processor via RAM. Without ram we cannot start our computer, therefore this part is very expensive. If it is there a problem with RAM card, that is the reason for BSOD’s coming. How can we find this? Check the error message which you wrote down, and find the Memory Address from that, it’s mean like this Stop:0y10re, or something like that will be there. After the restarting if you can see that message again in same memory address we can decide, this is an error because of RAM, then you have to remove the RAM from motherboard after that clean the RAM and replace it again. It may end of your problem, otherwise you will have to buy new RAM and replace it instead of old RAM. You should think about your hardware. 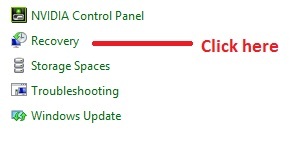 If you have installed new hardware to the System check it or remove it, after that restart your computer again. These types of messages are coming for that reason. I’m sure about it. By doing that you can Restore your computer, after that clean your registry with by using registry cleaning software. You can download free software for that. After these all things if you couldn’t get a solution, search that codes which you have noted down using internet and try to get solution. You can go to Microsoft windows site and search about that blue screen. That is the reason which I told you to wire down that message. Most of the time you’ll get that blue screen when you have installed new device to your computer or you install new software, if there are some problem with those, then it will come, and also if your computer parts are old enough to change, that is also a reason.